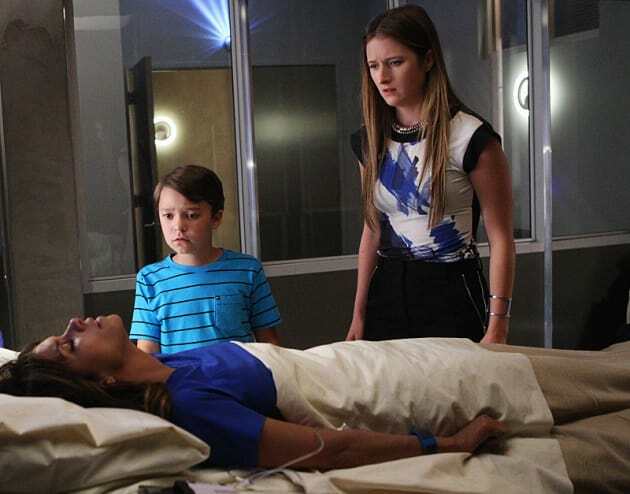 Molly succumbs to the virus while Julie has to face some hard truths on Extant. "The Other Side" is the ninth episode of the show's second season. Extant Season 2 Episode 9: "The Other Side"
Loving doesn't come easy to me. Can't you see, Daddy? I've been running from you and Mrs. Kaber my whole life. Permalink: Can't you see, Daddy? I've been running from you and Mrs. Kaber my whole life. That's what keeps us from going under, it's the struggle. Mistakes are what make us human. All of us. But forgiveness, that gives us humanity. It's time, baby girl. It's time to forgive me. To forgive John. To forgive yourself.